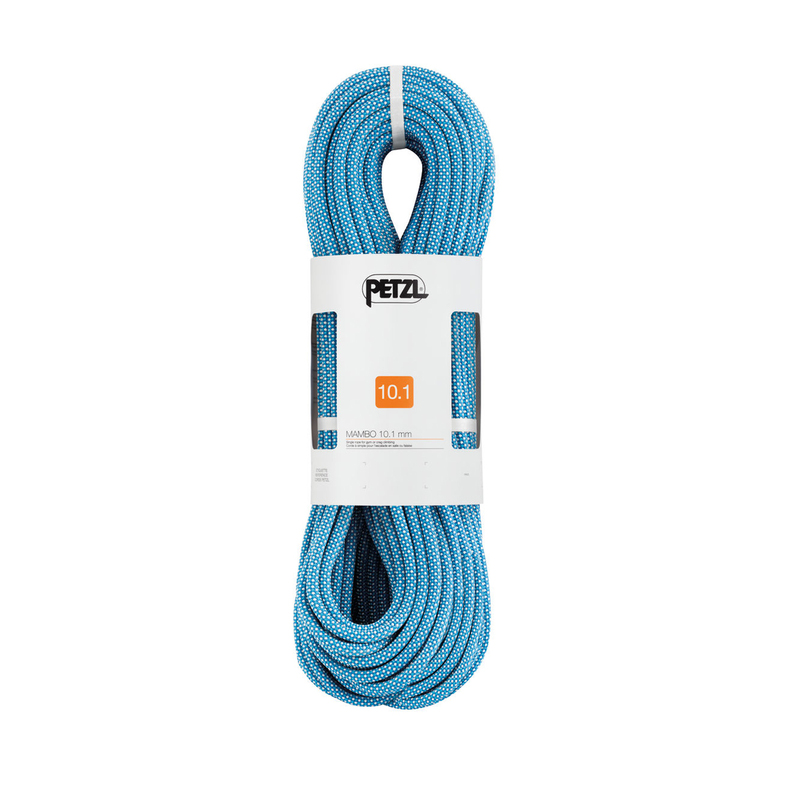 The Petzl Mambo 10.1mm single rope is the ideal choice for gym or crag climbing thanks to it's generous diameter. With a thicker sheath, the Petzl Mambo 10.1mm is more durable and allows for better control of the rope, as well as being more hardwearing against any abrasions. Great for beginner climbers who are becoming acquainted with rope use, the Mambo 10.1mm also has an UltraSonic finish, meaning that the core and sheath have been bonded together at the rope ends which helps the rope last longer. There is also a clear indicator in the middle of the rope to help climbers evaluate rope length for manoeuvres. A rope that's strong, sturdy, and nice n' wide. The Petzl TANGO 8.5 climbing rope has a core and the sheath that have been bonded together at the rope ends by an ultrasonic process called UltraSonic Finish. Such a treatment helps to give increased durability to the rope, as well as helping the rope to avoid getting any dreaded frayed ends. I have been using this rope for some time now and I am really happy with it. Although the price is very low, rope seems very robust and high quality. Great handling with the grigri2 as well as reverso4, knots are tied very easily because of the rope's good flexibility. I've been using this rope for outdoor climbing for a while, not owning it though. From all the ropes I've been using during the past year, either for indoor or outdoor climbing, this is the beloved one. If you fall, the fall is smooth. Also it doesn't tangle easily. It's use during belaying is smooth and I've never felt any kind of inconvenience. Everything works seamlessly with this one. And all this for THIS price. So I bought it, and when it came, I starting believing on Santa Claus. :D Thanks epictv for being my santa claus.